It seems like 2018 is speeding by. Time flies when you’re having fun hanging out with fans on the forum. You’ve made the year come together for us, and we’re really grateful. Speaking of gratitude, Thanksgiving is right around the corner. Do you have any special plans? Is there anyone in your life to whom you’d like to express your thanks? Whether you need to let a friend, family member, co-worker, teacher, or significant other know how much you appreciate them, we’re here to help! To express my thanks to you, I’m sending you a (product of your choice). Thank you for (reason why you’re grateful). It’s that simple. Go ahead and try it by writing your thank-you letter in the comments below. We’ll select 10 winners randomly from those who participate. If you win, we’ll send the gift you mention in your letter to your loved one! Additionally, everyone who participates gets 100 PowerBucks. How’s that for something to be thankful for? Don’t be a turkey, Anker fans, it’s time to say thanks. See you in the comments, and Happy Thanksgiving! Leave a comment with your thank-you note. You don’t have to copy our template exactly, but just let us know who you’re writing to, what you’re thankful for, and what you want to send them. You don’t have to share this event on social media, but we’d be thankful if you did! 10 winners will be chosen randomly to receive the gifts they mention for their loved ones. Chosen gifts must be from the Anker, Soundcore, eufy, Nebula, or Roav brands, and must be in stock in your home country (if you win, we’ll help you make sure your chosen gift meets the requirements). Open to users from the US, Canada, UK, Germany, France, Italy, and Spain. Event ends November 23rd, 2018. The winner will be announced on November 26th, 2018. How was your Thanksgiving holiday? Did you have a great time with your family and friends? I hope you’ve shown your gratitude to the ones you love, just like the thank-you letter you wrote here. I found them to be truly touching! As usual, all other participants will be furnished with 100 PowerBucks. Remember to go check out the PowerDraw, or save your Bucks for a future auction. Stay tuned next month for a big Christmas surprise, and Power On! To express my thanks to you, I’m sending you a SoundCore Flare so you can continue to enjoy your old-time tunes, even in the dark. To express my thanks to you, I'm sending you PowerCore Lite 20000. This Anker product will charge your phone whenever your phone battery is running low. Thank you for all you do for our family. I'm grateful to have you as my partner! I hope you have a wonderful Thanksgiving. You have given our family so much this year, and put up with so much. You are constantly chasing Abby (our 5 year old daughter) and Kali (Our rescue pup) around the house, picking up after them. Vacuuming and sweeping their messes. Even though you put in 50+ hours a week, you talk care of the house and make sure everything is in order. Without complaints. This Holiday season, we will be hosting Thanksgiving and numerous Christmas parties, all of which you will do the brunt of the cooking, cleaning and making sure that the party goes off without a hitch. That is the reason among many others, I am giving you a eufy BoostIQ RoboVac 30C. I am thankful for you and everything you do. Enjoy! Happy Thanksgiving, I love you! Thank you for being a wonderful wife n mother. und für die saubere Wohnung die mir der RoboVac 30C jeden Tag beschert!!! Ich wünsche allen ein tolles Thanksgiving und ganz viele Eufy Produkte unter dem Weihnachtsbaum! Ich würde vorschlagen, Ihren Beitrag auf Englisch zu vervollständigen, um Community-Mitgliedern das Verständnis zu erleichtern (und dem Website-Team). Vielen Dank. I would suggest to complete your post in English to make it easier on community members to understand (and the site team). Thanks. Ein wunderbares Thanksgiving und danke für die Smarte Beleuchtung an Weihnachtenund für die saubere Wohnung die mir der RoboVac 30C jeden Tag beschert!!! and for the clean apartment that brings me the RoboVac 30C every day! I wish you all a great Thanksgiving and a lot of Eufy products under the Christmas tree! To express my thanks to you, I'm sending you an Anker Powercore 26800. 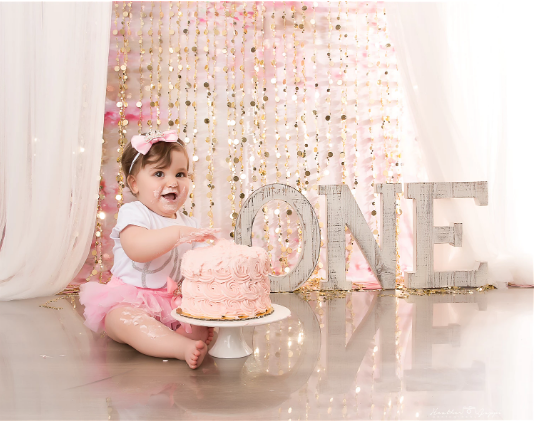 This past year has been amazing and with our daughter's 1st birthday next week, I want you to know how much I appreciate all that you do for us. I know they say that motherhood is a thankless job, and I want you to know that I am truly thankful for all the joy and happiness you bring whenever you are around. With work and being pregnant with our 2nd due in just 2 short months, you still try to make sure that we are taken care of before and after work. It is tiresome to have everything cleaned between the 2 of us, and I know you hate how much Sunny's puppy hair gets all over after I take him for a walk, so I am gifting you a Robovac 11s. I hope you have a Happy Thanksgiving and know that I love you more than ever! I am truly grateful for the love of the outdoors you have imparted on my brother and I. I will forever treasure our night hikes, camp fires and camp stove/BBQ "Gourmet" cooking. To thank you and light the way on our future trips I would like to send you an LC130 flashlight. To express my thanks to you, I’m sending you a PowerCore Lite 20000. Thank you for being a guiding force in my life and for always being there when I've needed a helping hand.